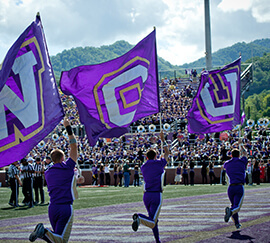 The College serves approximately 1,300 students and manages programs that are open to all undergraduates at Western Carolina University. The Honors College is a student-centered enterprise that enhances the educational experience for high-achieving students, encourages innovative teaching, learning, and curriculum development, serves students and faculty across all disciplines, and encourages and supports undergraduate research, service, and internship. Of special emphasis is The Honors Path, an educational framework designed to help Honors students make the most of their abilities. Honors College Benefits. Honors students are invited to live in Balsam or Blue Ridge Halls. Honors students also benefit from a special diploma (see “Honors College Diploma” below), priority registration, access to Honors courses, and special library privileges. 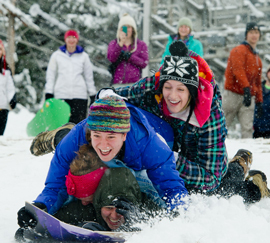 Social events put on by The Honors College Student Board of Directors, such as dances, lectures, parties, special trips, or tournaments, are open to all Western Carolina University students. Admission. To be considered for The Honors College, incoming first-year students must have a high school record that meets at least one of these standards: weighted 4.2 weighted GPA, 3.8 unweighted GPA, 1870 SAT (three part score if test taken prior to March 2016) or 1310 SAT (if test taken after March 2016) or 30 ACT, or top 10% of the high school class. 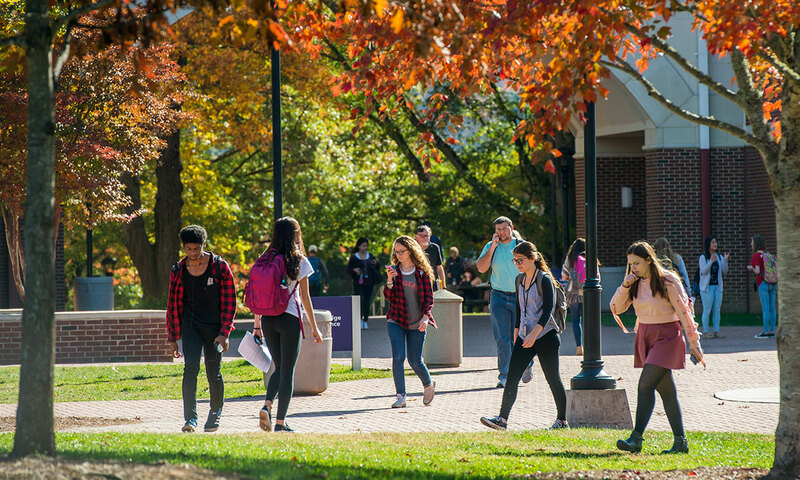 First-year students who achieve a 3.50 GPA or above on at least 15 credit hours in the first semester at Western Carolina University may apply to join The Honors College. After the first semester, students who have at least a cumulative 3.5 GPA are welcome to meet with the Dean to be considered for admission on a case-by-case basis. Transfer students who have a cumulative 3.5 GPA from an accredited college or university are encouraged to apply for admission to The Honors College. To Remain in The College. Honors students must maintain a 3.30 cumulative GPA at 1 to 30 credit hours, a 3.40 cumulative GPA at 31 to 60 hours, and must have a 3.50 cumulative GPA above 60 hours until graduation while typically carrying at least 15 credit hours per semester. Until completing the required 24 Honors hours for the diploma, Honors students must earn at least 3 hours of Honors credit each semester; students lacking at least 3 Honors hours will be put on probation after the first term, and then removed from The Honors College if 3 Honors hours are not completed by the end of the second term. Students who intend to carry fewer than 15 credit hours in a given semester should petition The Honors College for approval. A student who is dropped from The Honors College may be reinstated if the cumulative GPA is brought up to an acceptable level. Students dropped from The Honors College due to a lack of Honors hours per term must petition to be reinstated and may be allowed to register for Honors courses or do Honors contracts to return to good standing in the College. Advising. Honors students who have not yet declared a major or are changing majors are advised by an Honors advisor. Honors students who have declared a major are advised by a faculty member in the major department. For questions related to The Honors College or its programs, students are welcome to meet with an Honors advisor or the Dean. Earning Honors College Credits. Honors students do not take extra hours to earn the College diploma; they do enroll in special Honors classes, usually in the Liberal Studies Program, to earn the hours needed for the College diploma. 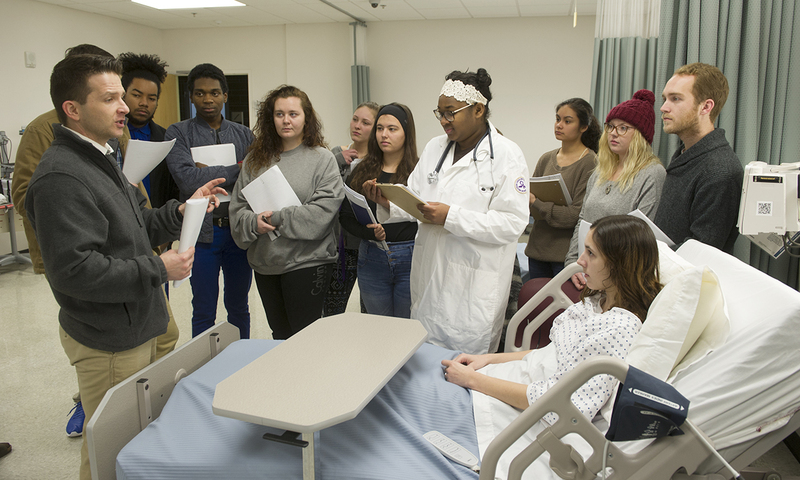 At the major level, Honors students may arrange for an Honors contract with the instructor of the course (this is a one-on-one project worked out between the student and the instructor) to earn Honors credit. Contract forms are available at the Honors Office or on The Honors College website. Transfer students who have Honors credit from other institutions must meet with the Dean to determine how Honors credits will be accepted at Western Carolina University. Honors students who travel abroad may earn Honors hours for the experience by working out a special Honors contract with the Dean before they travel. The Honors College Diploma. The diploma, available in any major at Western Carolina University, is a special honor - a signal of high achievement to employers and graduate school admissions officers. Honors College students must complete 24 Honors hours and have at least a 3.50 cumulative GPA upon graduation to receive the diploma. Graduation from The Honors College will be designated on the transcript. Honors graduates wear The Honors College Medallion at commencement. Honors College Interdisciplinary Studies Degree. Since 2004, Honors students have had the option to get expedited approval for Interdisciplinary Studies degrees. Interdisciplinary Studies Honors students may complete Honors requirements and graduate with The Honors College diploma. Begin the process by consulting with the Honors Dean to identify a primary advisor. Work with the primary advisor to create an Interdisciplinary Studies degree proposal, which will include the completed Interdisciplinary Studies Program Form for Honors Students with all required signatures; a list of all courses needed to reach 120-128 total hours for the degree (including Liberal Studies); and a one-page statement from the student that explains how the proposed Interdisciplinary Studies degree will meet that student’s post-graduate professional plans (career or graduate school). Once the Interdisciplinary Studies degree is approved, the student must follow the plan and all courses required in order to graduate. For more information or to get started, contact the Dean at 828-227-7383. Center for Life Enrichment Honors Scholar Program. Begun in fall 2013, this program is designed for exceptional students who are interested in preparation and sponsorship for prestigious national or international scholarships (for example, the Fulbright, Goldwater, Truman, or Rhodes). To complete the program, Honors Scholars must earn the Honors diploma and graduate with a 3.70 cumulative WCU GPA. Honors Scholars are the only students who wear the silver Honors Scholar medallion at commencement. 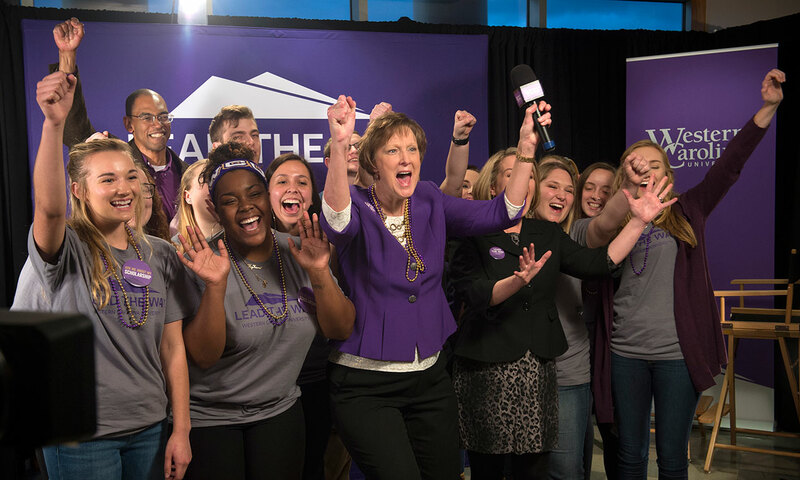 Honors Scholars can only be admitted as first-year students to WCU. The program should not exceed 40 students in any given year and is therefore selective, typically admitting only 10 new students each year. 1. Minimum 3.90 unweighted cumulative HS GPA. 2. If there is a weighted cumulative HS GPA, it must be at least 4.50. 4. At least a 30 composite ACT score. Students must also complete a successful interview with the process. As a first step for admission, prospects must be invited for an interview. There is no way to apply for the Honors Scholar Program other than being admitted to WCU’s Honors College. All students admitted to the Honors Scholar Program will receive, each year for up to four years, a substantial scholarship that will be applied toward housing expenses on or off campus. To retain the scholarship each year, students must remain in good standing in the Honors Scholar Program. A 3.70 cumulative WCU GPA in the third and fourth chronological years. A specially designated 3-hour English course to prepare students to apply for prestigious scholarships, fellowships, and graduate schools. The CLE Honors Scholar Endowment Fund provides support for special opportunities that will help scholars attain prestigious awards and graduate school admission (support for study abroad or special internships, for example). The fund was initiated by the Center for Life Enrichment of Highlands, NC. CLE is a non-profit organization dedicated to enriching the educational experience of western North Carolina, with particular emphasis in Highlands, Cashiers, and Cullowhee. Pre-Professional Programs: Pre-Medicine, Pre-Pharmacy, Pre-Law, Pre-Veterinary Medicine, Pre-Physical Therapy, Pre-Dental, Pre-Optometry, Pre-Physician’s Assistant, Pre-Occupational Therapy, Pre-Chiropractic. Honors students who attend the University to prepare for admission into a professional school are provided with a variety of options for the programs they may pursue. Students should make decisions early in their undergraduate career regarding preparation for professional school. The majority of professional school programs now require a bachelor’s degree for admission, although there are still some exceptions. To make wise decisions regarding undergraduate prerequisite courses and selecting an undergraduate major, Honors students should contact a professional advisor in The Honors College and indicate they are interested in a Pre-Professional Program. Call (828) 227-3277, email easharpe@wcu.edu, come by The Honors College offices in Balsam Hall, or visit The Honors College Pre-Professional Program webpage. Additional information about Pre-Professional Programs can be found on the Pre-Professional Programs Website. Undergraduate Research. The Honors College awards Undergraduate Academic Project Grants to support supplies or travel related to student research and creative/performance projects. All undergraduate students at the university are eligible to apply. 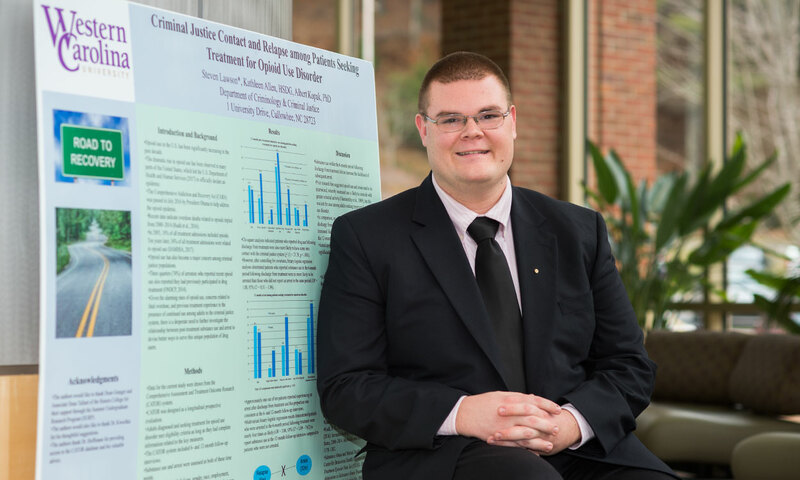 In addition, The Honors College works with other units in Academic Affairs to coordinate the annual campus-wide showcase of student and faculty research, The Research and Scholarship Celebration, and to support student research presentations at the National Conference for Undergraduate Research. Honors students also work with a member of the English faculty to write, design, and publish WCU’s undergraduate research magazine, Imagine. Please contact the Associate Dean for more information about these programs at (828) 227-7383 or check The Honors College Undergraduate Research webpage.